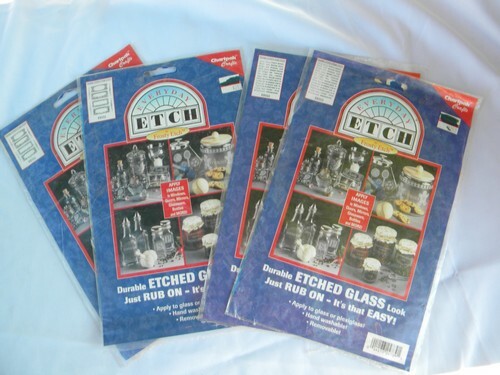 Lot of four packages of Chartpak crafts Frosty Etch rub on transfer decals. 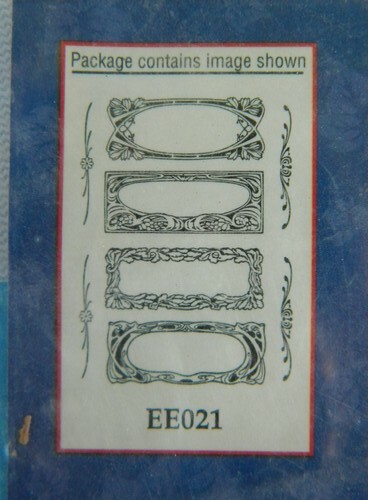 These transfers are can be used on glass or plexiglass plastic and are hand washable and removable. 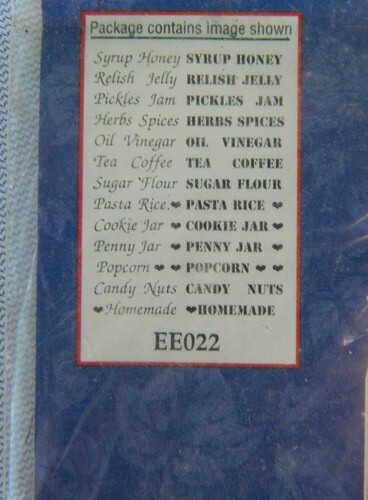 These transfers are for putting labels on glass jars and kitchen canisters etc.. One set of transfers is of label border art and the other is for labeling text - such as Honey, Sugar, Coffee, Candy, Nuts, Popcorn, Penny Jar and many more. There are two packages of each as shown. They do have light wear to the packaging, but have never been opened.